Real Football is a realistic soccer simulation game which will allow you to live out your dream of becoming a world-famous soccer star. 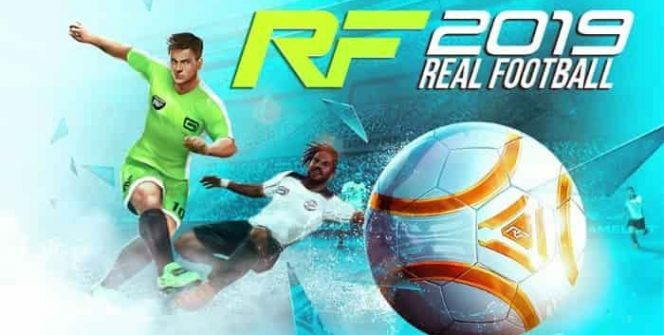 To find out some of the benefits of playing Real Football for PC simply continue reading to learn more about one of the year’s hottest soccer games. Real Football offers unique gameplay as not only will you get to play on the field games but you’ll also get the opportunity to control your soccer club off the field. So if you enjoy sports titles and simulation titles, you’ll find Real Football really addictive as you’ll get to continuously switch between two different game modes. 1. Real Football involves an element of luck and features a lottery to unlock new players. 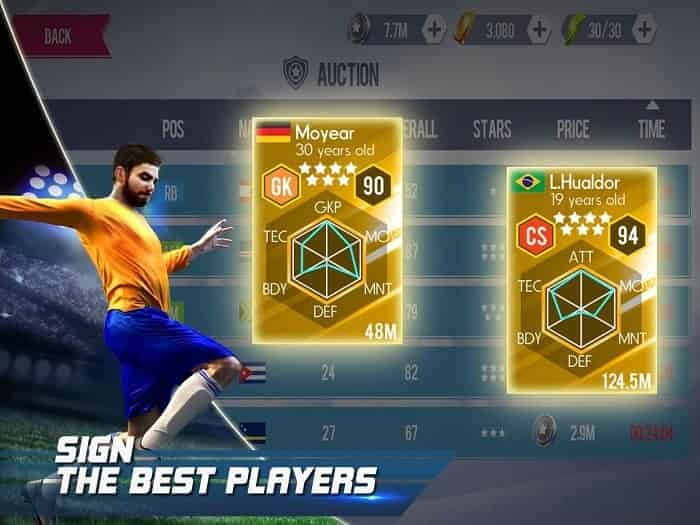 Part of the excitement of playing Real Football comes from the title’s player lottery, which will give you the chance to unlock a wide variety of rare players. If you’re looking for a challenge, you’re in luck as Real Football boasts intelligent AI which will mimic the tactics of real-life professional soccer teams. One of the reasons why Real Football stands out against other titles in the same genre is that it offers stunning graphics such as 3D football stadiums and realistic shadows. If you play Real Football you’ll also be able to switch between a few different camera views, which will make you feel like you’re right in the middle of a world-class professional soccer match. 5. You’ll be able to build a wide variety of team facilities. In order to increase your players’ statistics, you’ll need to build a wide variety of team facilities. Examples of which include new stadiums, hospitals, physiotherapy centers, and youth camps. The latter of which you can use to develop upcoming players, who you’ll eventually be able to select as part of your team’s starting line up. 6. You’ll be able to challenge international players. If you’re not content to spend hours playing against an AI opponent, you’re in luck as Real Football also boasts a popular multiplayer mode. In World Arena mode, you’ll be able to test your skills against increasingly tougher opponents in an effort to raise your world ranking. 7. You’ll get a chance to win a multitude of different leagues. While some soccer titles only give you an opportunity to win a single soccer league, once you’ve won your first league, the fun has just begun as there are countless trophies and leagues to win. So if you only like to download games which offer countless hours of gameplay, it’s well worth downloading Real Football! 8. Real Football was designed by Game Loft which has a positive reputation for offering high-quality games. Real Football was designed by GameLoft, which has been releasing high-quality games for over 10 years. 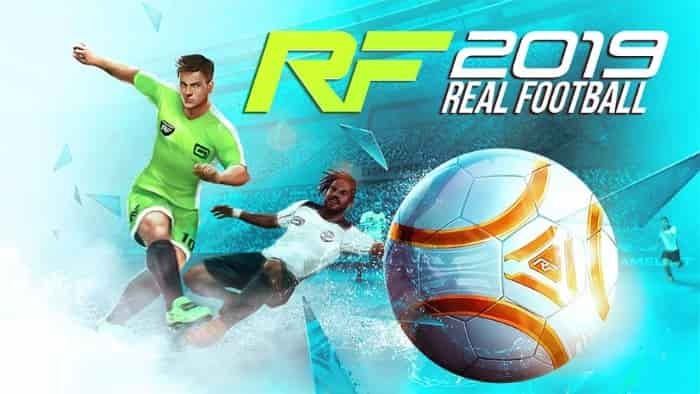 So you can be sure that Real Football 2019 is a quality game which is worth downloading. So if you’re a self-confessed soccer fan it’s definitely well worth downloading Real Football! As Real Football is one of the most popular soccer games in the world. Sometimes when playing Real Football, bluestacks ask you fee to pay but gives you option to download some apps. Every time it asks you just select “Install apps” and continue using it free. I hope you enjoyed this article, please rate and share. If you have problems running Real Football on your desktop or any other issues, leave a comment below.